If you’ve played, coached, or watched soccer at any level in the United States and Canada then you’ve seen the worst pregame warm-up activity imaginable — the shooting line. The activity itself is a microcosm of the pedestrian misappropriation of the world’s game. Youth team coaches are guilty of allowing all of the players regardless of position to partake in a party of potshots. This “warm-up” is even used by high school, college and Major League Soccer coaches. Such an activity is important for attacking players and goalkeepers before a game. Good teams and coaches designate a time and place for the attacking players and the goalkeepers to get their reps. They also organize position-specific activities for the other players, mini-stations, possession grids, rondos, and a plethora of other functional activities to get the team ready to perform. One difference, however, between a clued-in and a clueless team is identified by the amount of standing and static stretching taking place before competition. Most likely, you’ve seen that line grow longer and longer as players miss shot after shot and subsequently chase the ball across acres of parking lots and other fields. The enemy is not the shooting line, but rather the coaches — charlatans embodying every bad coaching cliché that should have stayed in the 1990s-era soccer movies that made a mockery of the game — who use this as a primary function for warm-up or pregame activity. This rudderless navigation of soccer isn’t limited to pregame shenanigans. In the United States, the odds are great that players arriving early to practice will take potshots at an empty goal with shots ending up everywhere but in the goal. Admittedly, I was raised in a culture where this insanity was all too common. Between the ages of 9-14, I learned early on that the activity was not only lodged “deep in the dumb”, but it was unrealistic. At no point were any of the players exhibiting the actual movements and skill that would even allow them to get such a shooting opportunity in a game, and yet, true to form, this activity is still done with regularity. Growing up, I often found myself opting to dribble the ball around on my own before games or at practice while my teammates took shot after shot at the goal until a coach showed up. I attribute my avoidance to the playing pick-up and street soccer. You see, in the brand of pick-up and street soccer I grew up playing there were no giant goals, at least none with nets. If you shot the ball, there was no guarantee another group of players wouldn’t stab it with a pen or pocketknife, steal it themselves, or punt it onto Interstate 280. Games often turned into literal turf wars. Losing often extended beyond the scoreline, it meant losing respect and the opportunity to play there again. Growing up in an area of cultural tension soaked in racial and nationalistic rivalries was tough, but it emblazoned many of us with a steadfast desire to be better, tougher, and more savvy players. My neighborhood buddies were of Mexican, Bolivian, Nicaraguan, Portuguese, Kenyan, Vietnamese, Korean, and Bosnian descent. A few were refugees and brought with them their soccer talent and the savagery they were exposed to in their war-torn homelands. The tense culture of the time conditioned each of us to value the ball at all costs — taking pregame potshots was out of the question. 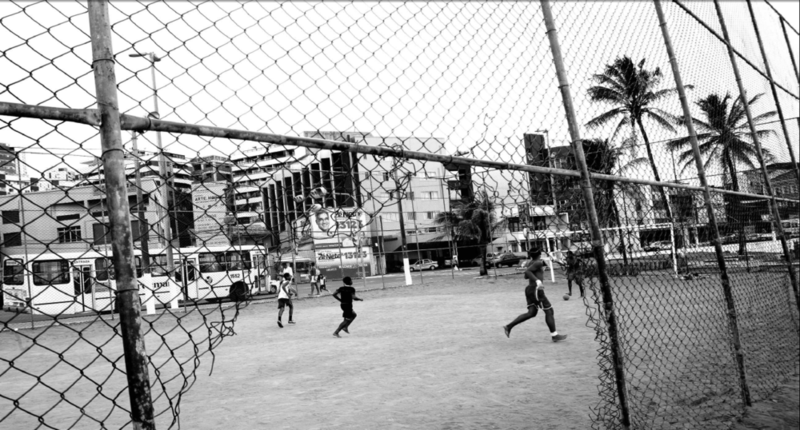 Away from the skirmishes on the dirt patch parks or the vacant basketball courts with chain-linked nets in the world of “organized” soccer I discovered how different the game was regarded. I wouldn’t even call the brand of organized soccer available to me remotely related to the stuff we played in the streets, courts, and parks. Positions were too rigid in the organized version of the game. Coaches were too “all knowing” but when they demonstrated how to do something, it was clear they never played the game let alone kicked a ball. I don’t fault them for their lack of tact or playing experience. Soccer in the late-1980s through the 1990s was filled with a systemic disconnect with the world in an effort to Americanize the game. I recall playing in a game where I dribbled the ball across half field and my coach screamed, “You can’t cross to the other half! That’s for NOT your position! Get off the field!” That was the last time I played for that team. But, the root of issues such as rigid positioning, pregame potshots, and out-of-touch coaches was the shoehorning of a global, free-flowing game that demands players be as intelligent and a “different” type of athletic in the mold of the sports dominating American culture. Warm-up activities in basketball involve shooting lines. American sports tend to have overtly-stratified positions that players do NOT vacate. Growing up in the cultural melting pot of northern California’s Bay Area and later, Chicago and its surrounding suburbs, put the juxtaposition of soccer culture with American sporting culture at great odds. Deep down, I want to believe that American sporting culture includes soccer in a capacity extending beyond a “recreational activity” reserved for suburban kids of affluence and their accompanying “soccer moms” in minivans and Lexus SUVs. Watching a youth American football (gridiron) game, it’s evident that over-control, scripting plays, and parents and coaches donning the team’s apparel is an integral part of the culture. What is acceptable in those sports bleeds over to youth soccer and the result is a growing disconnect between the [North] American player and the global player. Spending time abroad as a youth player afforded me a unique lens with which to view the game I love. When I arrived at training early, players passed the ball, got touches on the ball, performed variations of rondos, and jogged around with a ball — all uncoached and unprompted. Once a training session commenced, it was highly-organized but was free-flowing at the same time. We played mini-games instead of full-field scrimmages, shooting-specific drills where attacking players worked against defenders took precedence over static shooting lines, dedicated technical training was taught and performed for the sake of using the skills in a game, not for “oohs” and “ahhs” of helicopter parents. As easy as it is to sing the praises of the game is played overseas and stating how far we have to go, the point is the culture today still have far too many remnants of the ignorant soccer culture I grew up combating. The main source of solace I find is most of the people getting into coaching and the overall soccer discussion played the game themselves. The importance of the experiential cannot be understated, nor can the importance of individuals willing to learn more about the craft of coaching. Perhaps beyond any coaching point I could make, the onus lies on the American player. The American player does not play enough soccer. There is no shortage of praise for American players who “hit the weights”. The fact of the matter is the American player still needs to be prompted to get out and play on their own. If there is a pick-up or street soccer culture, I have not seen it and believe me, I’m looking for it. One doesn’t build a house starting with the roof. 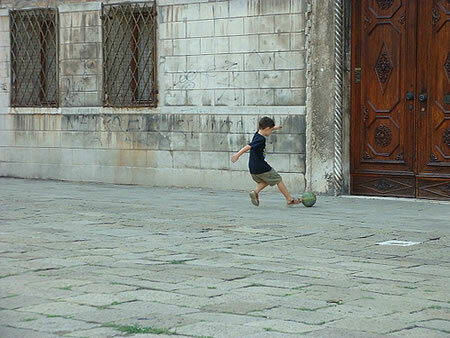 It’s time to build a soccer culture across urban and suburban lines. We can talk about new coaching curriculum all we want, but until there is a stronger and more willing playing populous to challenge and push those coaches to be better, the cycle will repeat itself as will the obsession with average. Thought I’d share this with you. Average Household Income for SLSG families is $110K according to this video they are using in their sponsor pitch. Bit of an eye-opener.